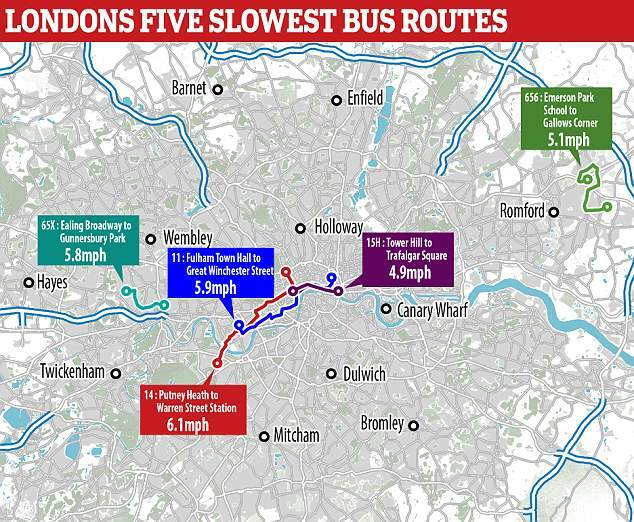 Britain's slowest bus has been revealed to be slower than a mouse or a chicken. Many commuters could travel faster by donkey than if they take the number 15H bus that runs between Tower Hill and Trafalgar Square via Fleet Street in London. The service crawls along the capital at just 4.9mph, making it slower than a running mouse, which can sprint at 8mph, or a chicken, which can do 9mph. The route, which operates with a heritage Routemaster vehicle, also travels at only 1.5 times the average walking speed, hardly making it ideal for those in a rush. The 15H, which is the only preserved AEC Routemaster route in London, copies a 2.5-mile central route taken by the 15 from Blackwall station to Charing Cross station. This means it takes about 30 minutes for the bus to complete the route - which could be completed in just under 20 minutes by a continually sprinting mouse. 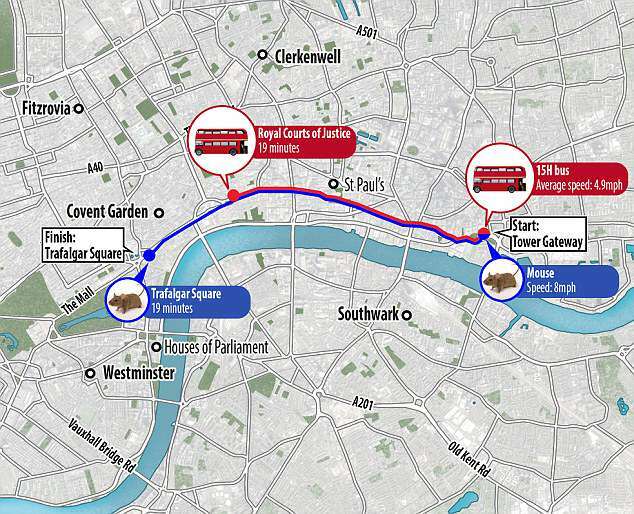 Therefore, in theory, by the time the mouse completes the route, the bus running towards Trafalgar Square would have only made it to the Royal Courts of Justice. 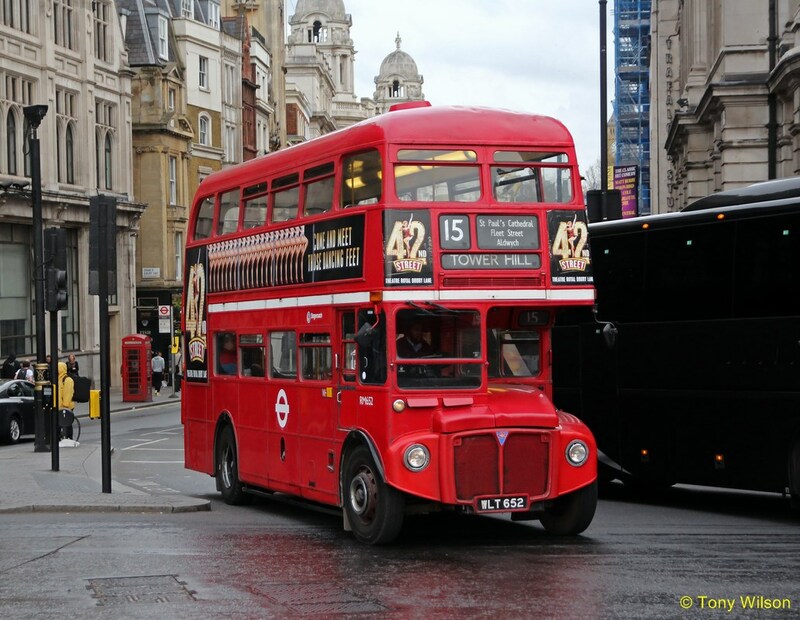 Buses on the 15H route run every 20 minutes from 9.30am to 6.30pm, allowing people to travel on the iconic Associated Equipment Company Routemasters. The next slowest buses is a school special - the 656 from Emerson Park School in Upminster, Essex, which runs to Gallows Corner at an average of just 5.1mph. The third slowest is the 65X special from Ealing Broadway to Gunnersbury Park that runs once a year for the London Mela Asian festival, running at 5.8mph. In fourth place is the 11 from Fulham Town Hall to Great Winchester Street at 5.9mph, then in fifth is the 14 from Putney Heath to Warren Street at 6.1mph. Bus speed data from Transport for London shows passengers travelled at an average speed of 10.6mph on buses between April 2017 to March 2018. 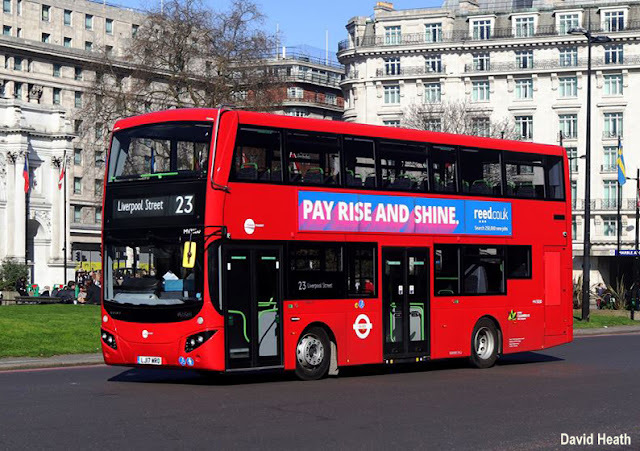 Richard Freeston-Clough, from the London TravelWatch watchdog, said: 'We remain very concerned about bus speeds and therefore journey times for London's bus passengers. It is a significant reason for the decline in ridership. 'We have noted that there has been an upturn in speeds in the last few quarters on some routes, but this is nowhere near up to the speeds of four years ago. 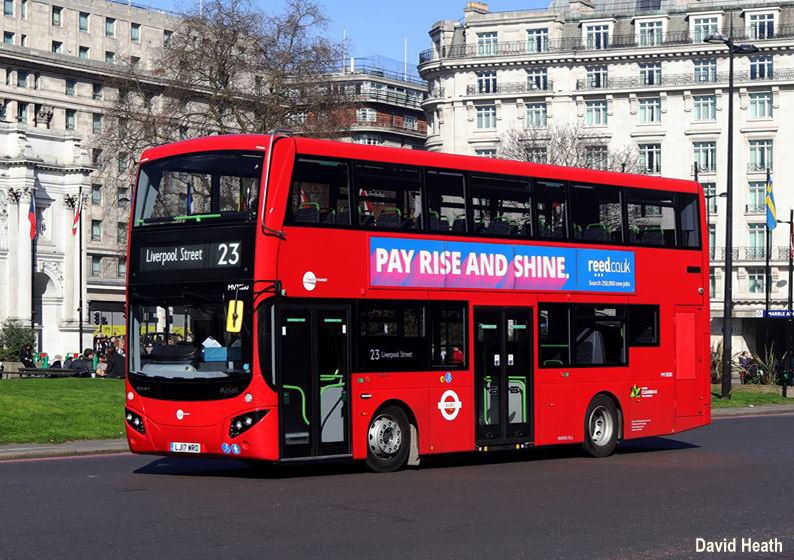 Claire Mann, director of bus operations at TfL, said: 'Buses in London are more reliable than ever and after more than 120 schemes to give buses priority and a thorough review of traffic light timings, speeds are improving.